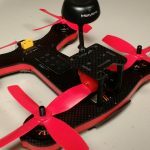 Before you can jump into setting up the software on your new racing drone, you are going to have to configure your transmitter to communicate with your receiver. If you launch Betaflight / Cleanflight / etc. without configuring your transmitter, it will be impossible to set everything up. Furthermore, if you want to use switches or other auxiliary inputs to manage your flight modes or arm and disarm your quad, you will need to set those features up on the transmitter first. Bind your transmitter to your receiver. Setup any auxiliary switches on the transmitter. Ensure that your failsafe is configured correctly. 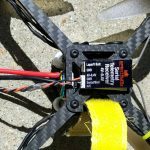 If you setup these three items correctly, you can complete the software setup for your quadcopter. While we would also recommend reviewing more advanced features, such as setting up telemetry information and battery alarms, it is not imperative for getting into the air. We plan to delve deeper into settings features and provide a highly detailed setup article in the future. For the time being, we have compiled a ton of community resources that can be used to complete most of the setup steps. 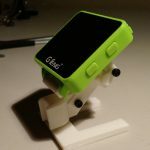 For most setups, you will create a new quadcopter model on your transmitter and bind that model with your receiver. However, be sure to read the manual for your receiver before engaging any bind mode. Some receivers will be very specific on how you should bind the receiver and transmitter together. Failure to take the time here to bind the two correctly can result in a lot of headaches later when trying to configure advanced features. For most setups, you will have to setup the auxiliary switches on your transmitter before they will register in the flight controller software. This is commonly configured in a “mixer” setting (Taranis), where you will add additional inputs alongside your default throttle, yaw, pitch, and roll. This is more of a fringe issue that shouldn’t be a problem with most setups. 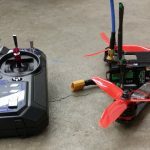 More often than not, if you run a failsafe test and are unable to get a failsafe throttle signal after disconnecting your transmitter, it is likely an issue with your binding process. Here are a few threads and videos that may help with the issue. We have personally seen this when (incorrectly) binding a FrSky D4R-II to a Taranis. You can also configure some other neat bells and whistles on your transmitter. Having a battery alarm when your cells are getting low, live telemetry info, and other configurable elements can be extremely valuable when flying. We plan to expand on this in greater detail in the future. Now that your transmitter is configured and talking to your receiver, you can complete your software setup. Continue on to Novuh’s three part article on software setup here.